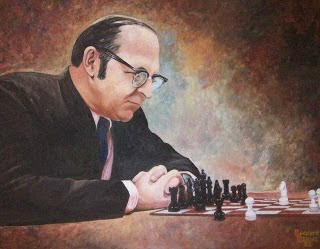 We will NOT have CCCR chess tonight, March 15th. 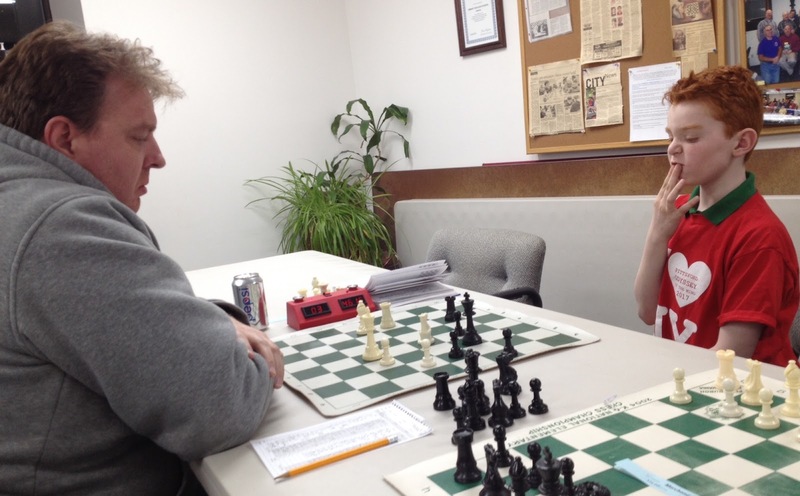 However, we will instead have chess on Thursday night, March 16th at the same time at the Rochester Chess Center. 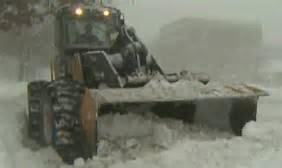 This also means that there can be no league make-up games tonight. Emails will go out shortly with this information. Please be advised that due to the expected severe snow storm there may be numerous road closures, traffic light outages, and slow-downs throughout the Rochester area. 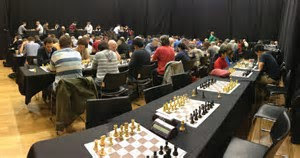 Please check traffic conditions for your route to the Chess Center before leaving and drive safely. Thank you. Traffic conditions can be checked at http://maps.google.com and selecting traffic from the menu in the top left. Please be advised that due to high winds there are numerous road closures, traffic light outages, and slow-downs throughout the Rochester area. 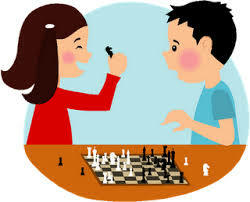 Please check traffic conditions for your route to the Chess Center before leaving and drive safely. Thank you. 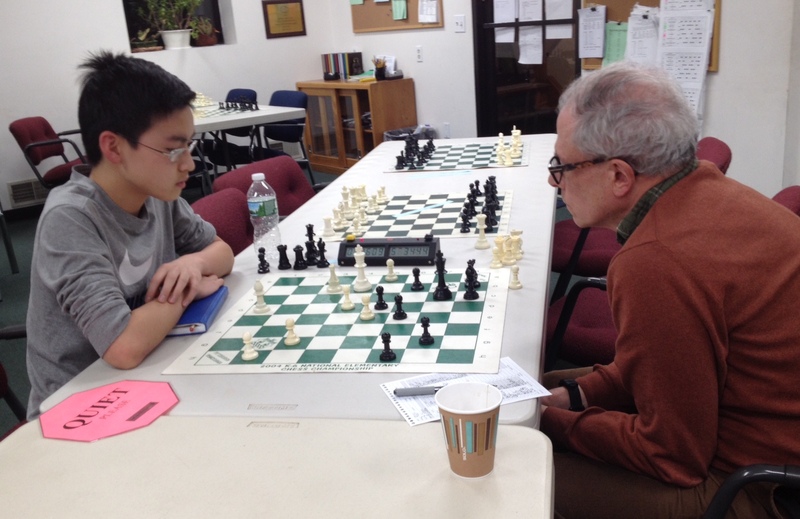 6SS, G/60 d10, open to grades K-12; top NYS player & team in each section are NY champions. In 11 sections. HS Championship and HS Reserve at Courtyard by Marriott, 11 Excelsior Ave., Saratoga Springs NY 12866. Other 9 sections 2/5 mile away at Saratoga Hilton and adjacent Saratoga City Center (connected by indoor walkway), 534 Broadway (I-87 Exit 13-N, 4 miles north on US 9), Saratoga Springs, NY 12866. 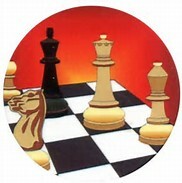 Online entry: www.chessaction.com. Mail entry: Continental Chess, PO Box 249, Salisbury Mills, NY 12577. Include name, rating, USCF ID, USCF expiration (non-members include dues), section, school, grade, birth date, address of each player. Checks payable to Continental Chess. $15 per player service charge for refunds. $10 extra to switch sections, all substitutions from advance list charged $60. Questions: DirectorAtChess.US (At = @)), 347-201-2269. Bring clock if possible- none supplied. Bring set & board for HS Championship, HS Reserve & JHS Championship; set & board supplied for other sections. March official ratings used (except unofficial web ratings usually used if otherwise unrated). TD reserves right to assign estimated rating to players with non-USCF ratings. 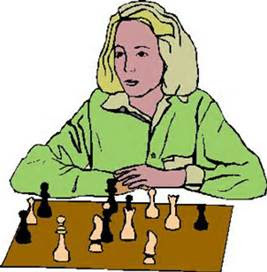 More information here from Continental Chess. The league runs for 10 weeks on Monday nights. Teams are forming. 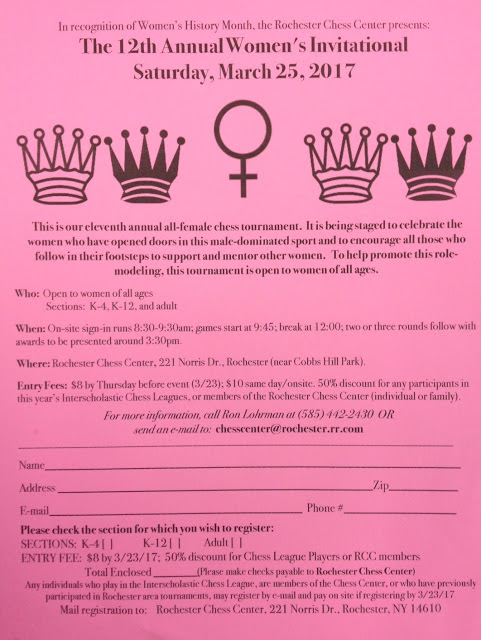 Sign-up at the Chess Center. Call 585-442-2430 for Info. Register by 6:30pm 4/3/17.